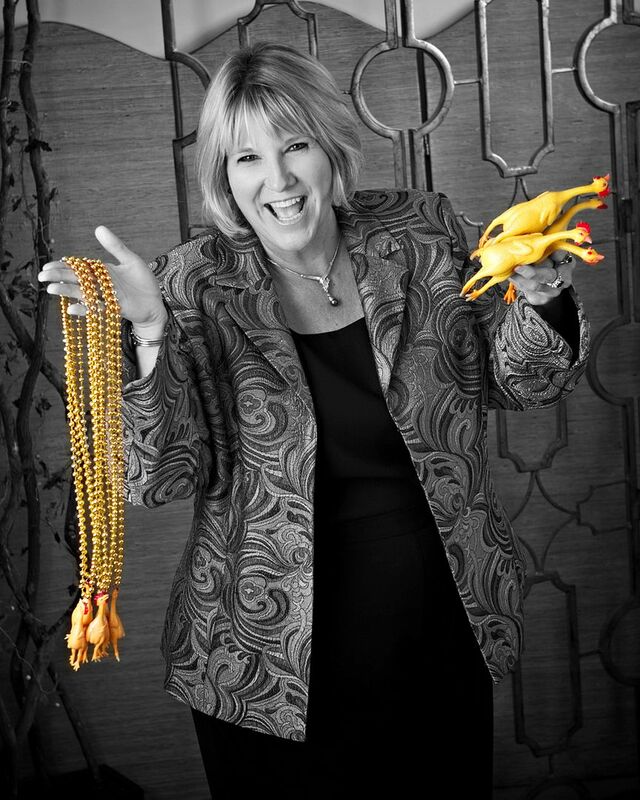 One voice that has been significantly missed this past year is Susan Suchan. She lived her life fully even when diagnosed with dementia. We continue to celebrate her birthday and the love, compassion and dear friendship she brought into our lives. 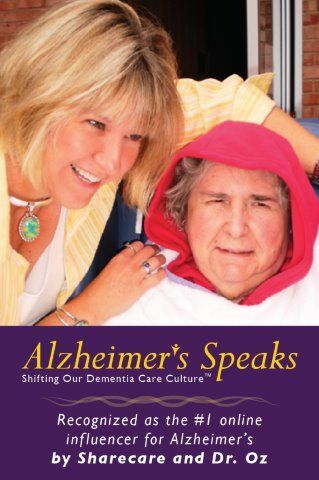 It was an honor to work with Susan on Dementia Chats. Her insights were brilliant and her laughter contagious. A few of us gathered to honor what would have been Susan’s 62nd birthday. Please watch and feel free to share Susan’s life and the impact she had on others. Remember each one of us have the opportunity to lift and inspire others by sharing our authentic self with one another, just as Susan did. You never knew what would happen next…. 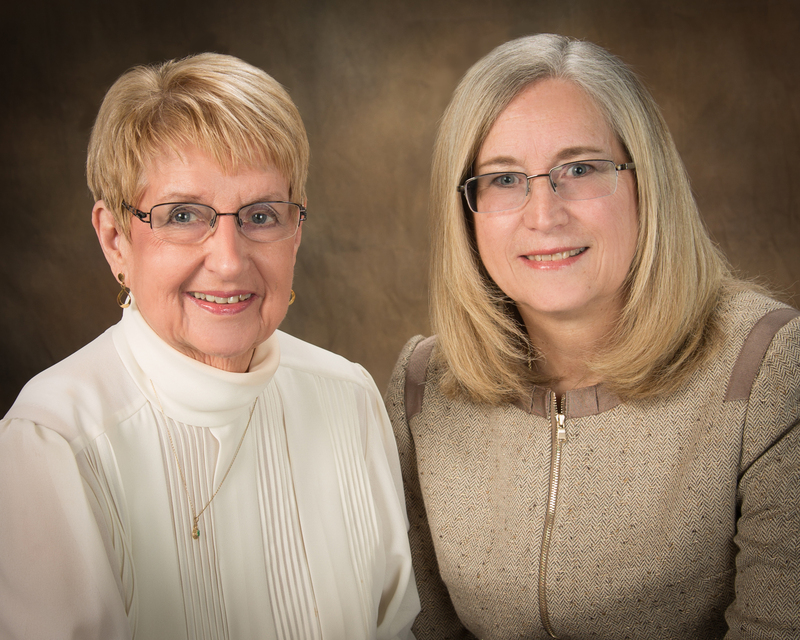 Susan Suchan was the mother of two grown daughters and five beautiful grandchildren. She was a nurse for 23 years and was diagnosed with Early Onset Alzheimer’s Disease (EOAD) at the age of 48; an additional diagnosis of Frontotemporal dementia(FTD)/Primary Progressive Aphasia (PPA). Susan advocated for and about the “lived experience”, working to change perceptions, stigma and help bring to life, and the realness of her disease process. She has had the opportunity to speak Nationally and locally. 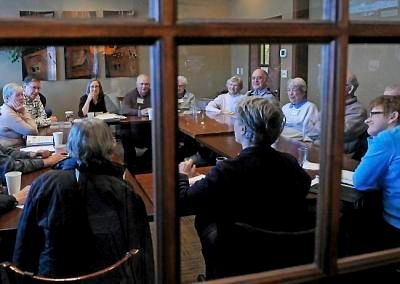 Susan was awaiting the release of a documentary featuring her life, showing the effects on friends and family relationships, finances and end of life discussions. The film is called, “Susan’s Story” and is still in need of funds to complete. In honor of what would have been Susan Suchan’s 62nd birthday, her family and the producers of the documentary, invite you to help complete the film. The documentary is in post-production and the final $125,000 is still needed to complete the film. 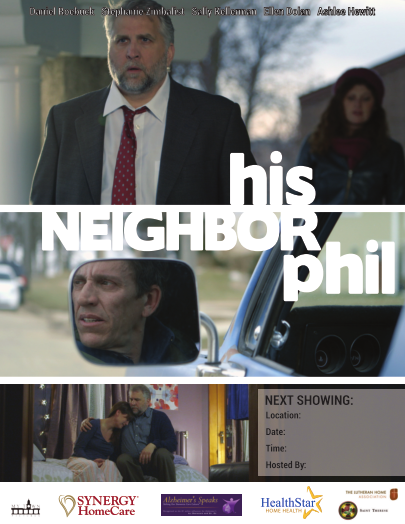 Please contact Russ Kirkpatrick, the Producer/Director of the film, if you have questions or would like to make a contribution. Tax deductible contributions can be made to one of two 501(c)(3) organizations associated with the film. 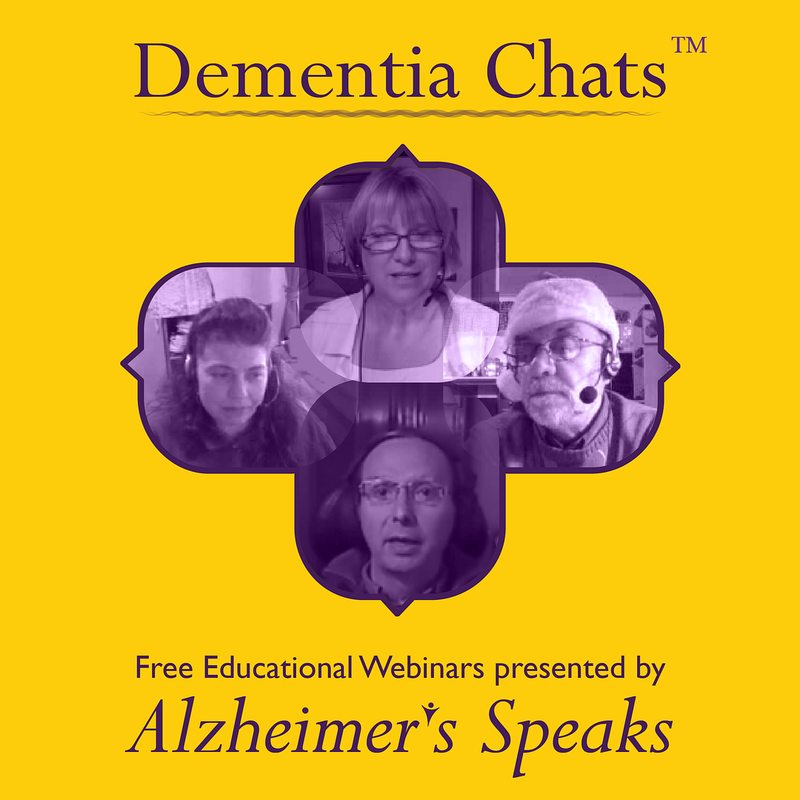 Moral Challenges of Dementia from Diagnosis to Death – A Conversation You Won’t Want to Miss! 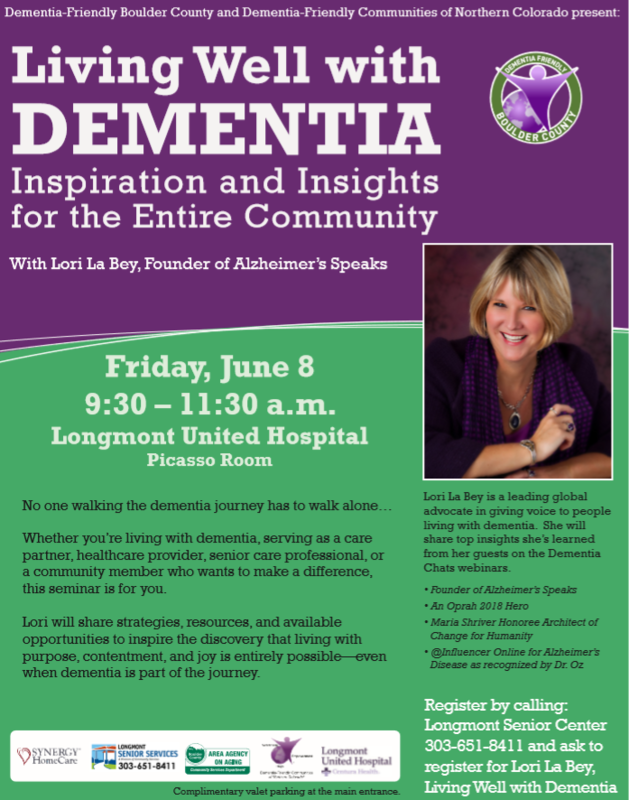 Dr. Stephen G. Post will talk with host, Lori La Bey on the moral challenges people are faced with once dementia is diagnosed and throughout the disease process. They discuss word choice and he explains the verbiage he uses such as: Deeply Forgetful, Hypercognitive, Differently Abled, Bio-Pyscho-Social and more. They talk about freedom and safety, end of life choices, the impact of stress, intergenerational engagement and more. This promises to be a fascinating conversation and one that needs to be heard by all involved with dementia. If you are the person diagnosed, family, friend or professional; this is a conversation you won’t want to miss. 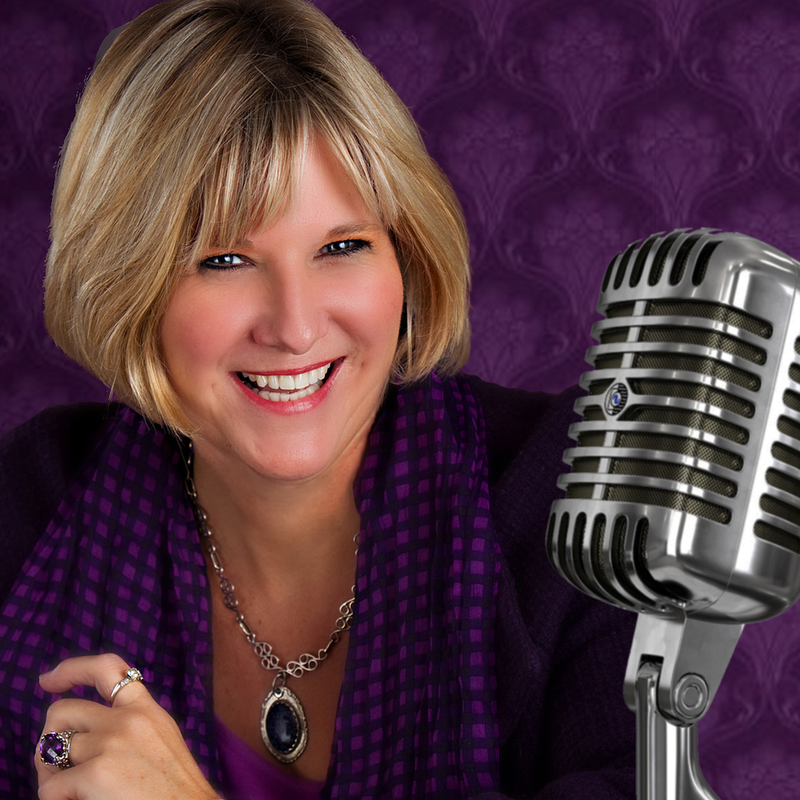 Dr. Post is a renowned speaker and author. This is a story I wrote about a visit with my Mother with Alzheimer’s years ago. She is now passed and I do miss her so. Today when I went to visit Mom it was just prior to supper time. 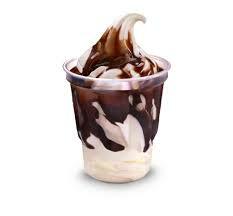 I decided to pick up a Hot Fudge Sundae from Mc Donald’s for her anyways. She loves her Sundaes from McDonald’s chipped teeth and all. As I scooped the ice cream with the black plastic spoon that came with the sundae, I was anticipating Mom’s smile once her lips felt the cold. Instead, Mom’s lips popped open and closed around the spoon. I gently pulled the spoon out from the lips that trapped it as the ice cream melted in her mouth. My wrist soon turned to scoop another serving of hot fudge, and I saw Mom winkle her face like crisp dollar bill being scrunched in a powerful hand. Today It was evident the cold was causing her pain, yet she wanted more. I guess the fudge out weighted the pain, for today anyways. “Oh she passed about two weeks ago.” One of the staff said in a soft compassionate voice. My heart sunk to my toes. I hadn’t seen Lillian in the past month between being out of town and visiting Mom later at night when she was in her room. I felt horrible I hadn’t looked for Lillian when I was there. My mind raced knowing there was no way of going back in time. I will miss Lillian, she made my heart smile. 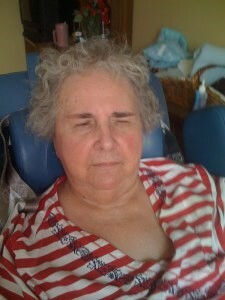 Lillian had befriended my Mother, watching and checking up on her throughout the years. When I would come to visit Mom, Lillian would scurry over, grab my hand, look deep into my eyes, and share stories with me. Her soft loving smile positioned on her aged and wrinkled face was one of my favorite things to see. Some days Lillian would sit and visit with Mom and me, other times she thought I was her daughter. On these occasions she would grab my hand, lead me off to a private setting where we could sit next to each other holding hands and sharing stories uninterrupted. Lillian’s crystal blue eyes could calm a tornado and her soft smile framed a strong and amazing woman who was a gift to know. It was just in the last year Lillian started to fail physically losing her balance; needing a walker; which many times she would forget was hers. Lillian was the elder, the wise one on the floor loving and caring for those around her until the day she died. If I’m not mistaken, she recently turned 104 years old. I would have loved to have met her family, but it’s not likely now. I will miss her beautiful crystal blues eyes, her soft fail hands that would reach for mine, and her compassionate voice like that of an angel. 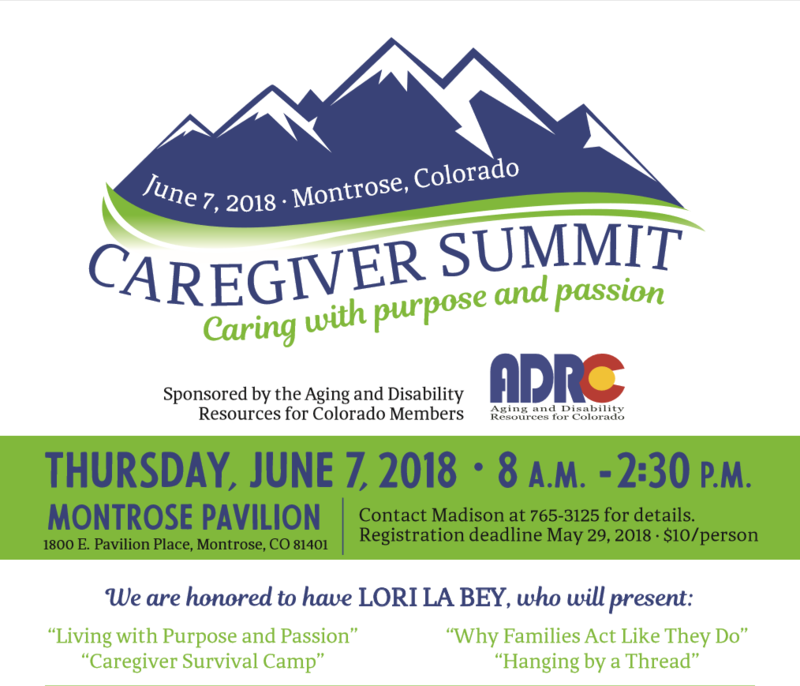 I know many think I should be relieved as I am released from this “Caregiver Role.” They view this journey I’ve been on with my Mother as a burden. But truth be told, I will deeply miss her. I will miss that shell of a body that is all many people see. For me there is so much more to Mom than her shell. 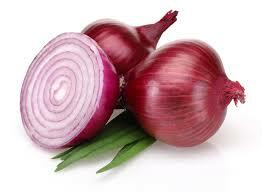 I guess I see Alzheimer’s disease like peeling an onion. There are many layers and like the heart of the onion the soul of a person is always in the middle and never dies first. 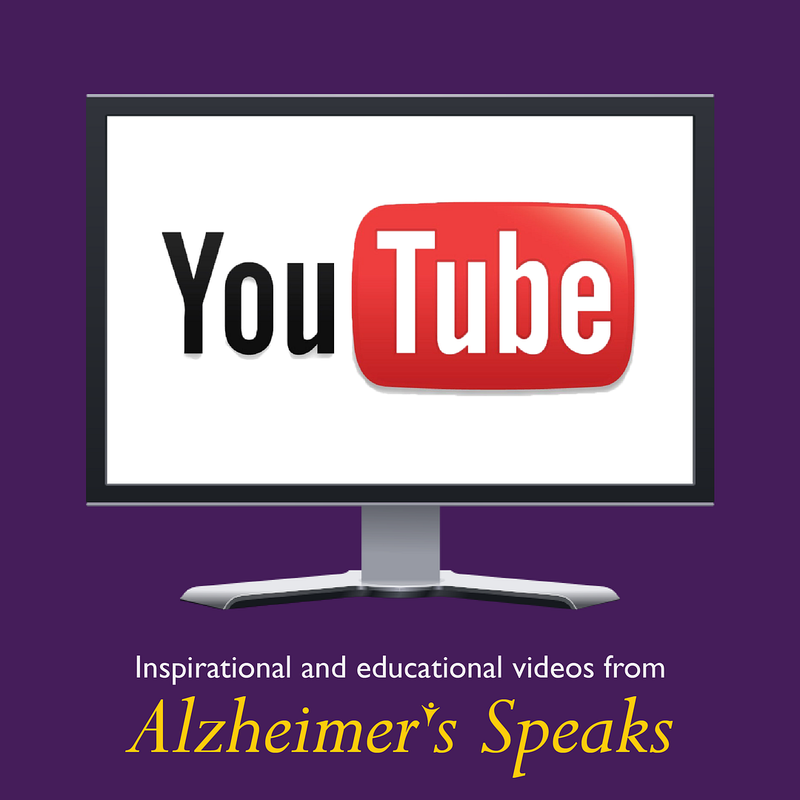 For More Information on Dementia and Caregiving Click Below. Join an Alzheimer’s disease Clinical Trial Today. Click Below. 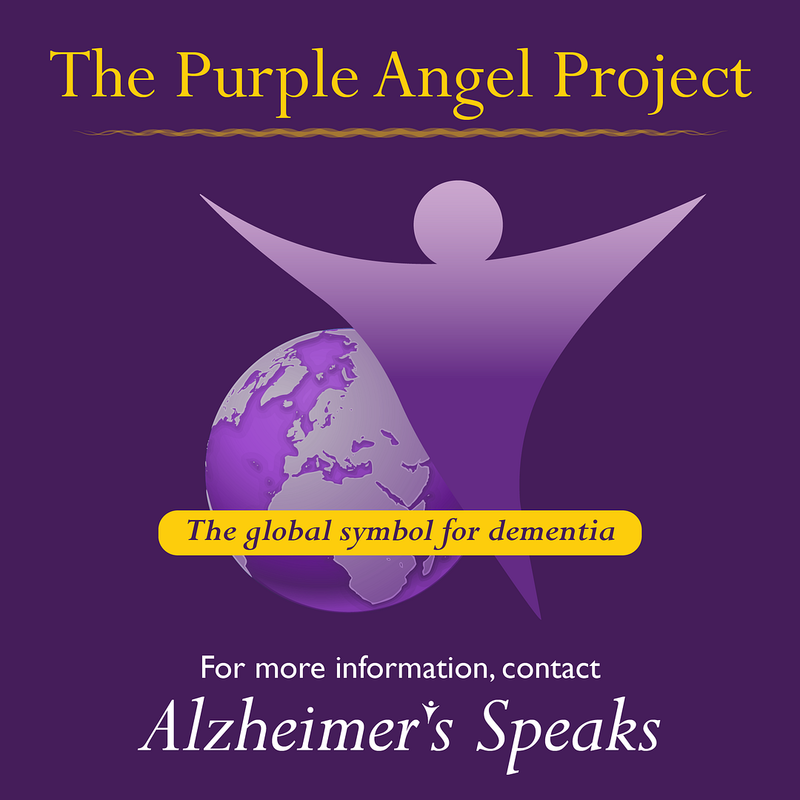 Join the Global Effort To Raise Awareness of Dementia. Click Below. 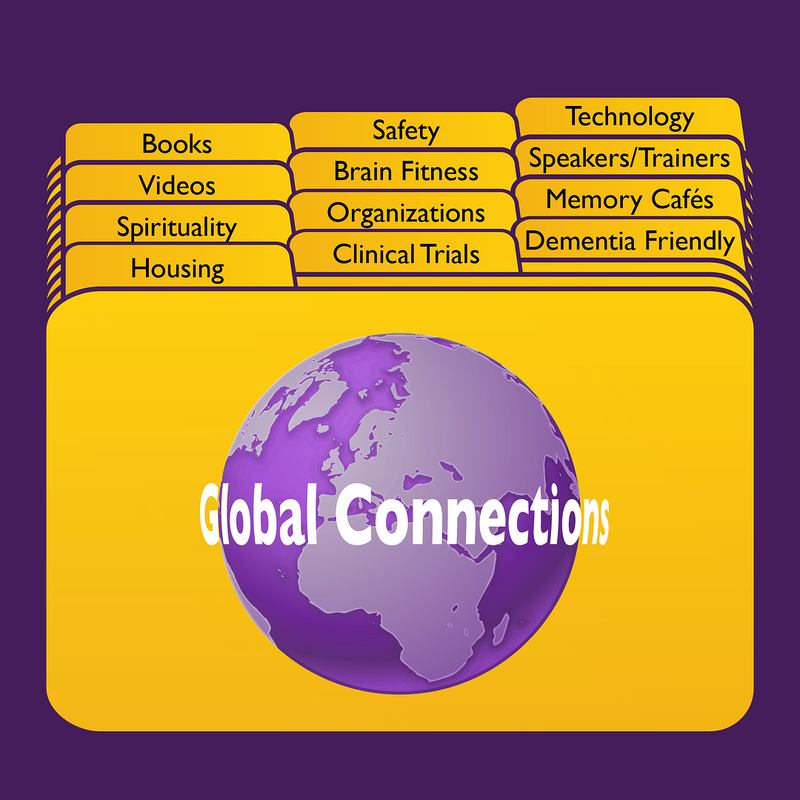 Dementia Chats™ was created with the intention to educate people living with dementia; their care partners both family and friends as well as professionals and advocates. Our Experts are those diagnosed with dementia. Join an Alzheimer’s disease clinical trial today. No insurance is needed to participate. Tuesday 11am EST, 10am CST, 9am MST 8am PST and 4pm London time. 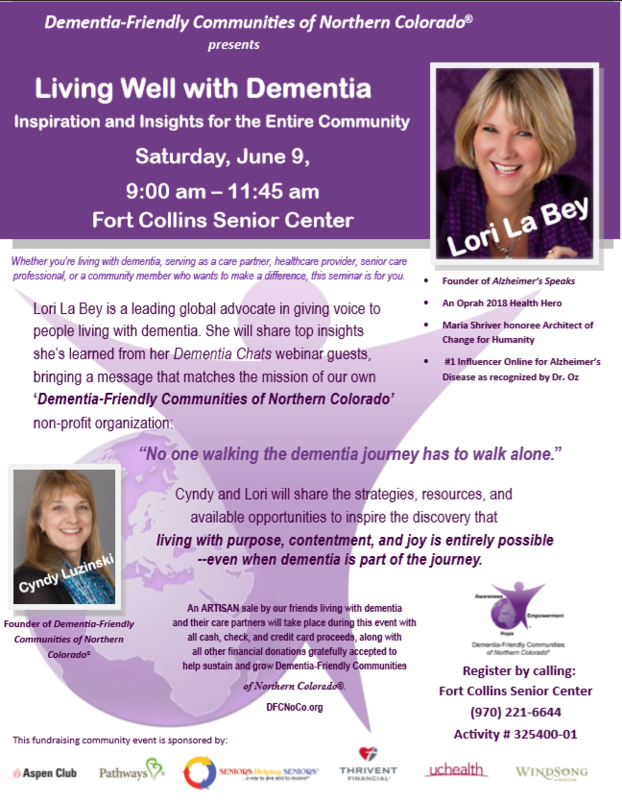 Our first guest will be Mary Crescenzo, who provides professional development training for staff in the implementation of quality arts programming with those with Alzheimer’s, and facilitates for caregivers. 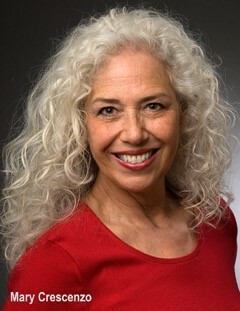 Mary is also an award winning playwright whose drama, Planet A, about Alzheimer’s, has been staged in New York throughout the U.S..
Our second guests will be Vicky Ruppert cared for her husband for 19 years with Alzheimer’s of the familial variety (APOE4)and Ann Henderberg who cared for her husband with Lewy body disease for 7 years. 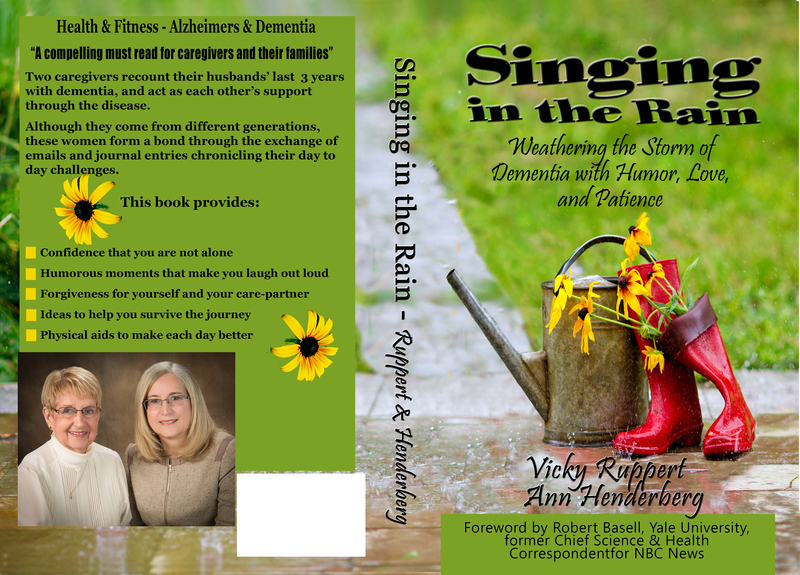 Together they joined forces to support one another and have written a book titled, “Singing In The Rain: Weathering The Storm of Dementia With Humor, Love, & Patience. 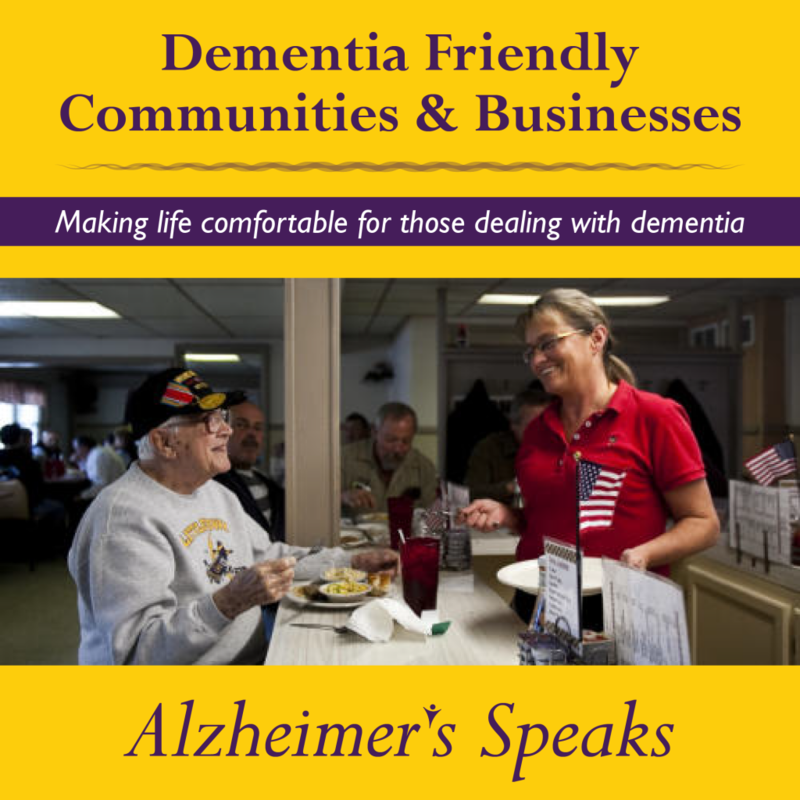 Alzheimer’s Speaks Radio is proud to raise all voices regarding dementia. If you have an opinion we would love to hear it. Call in and join the conversation or use your chat box to communicate with us. 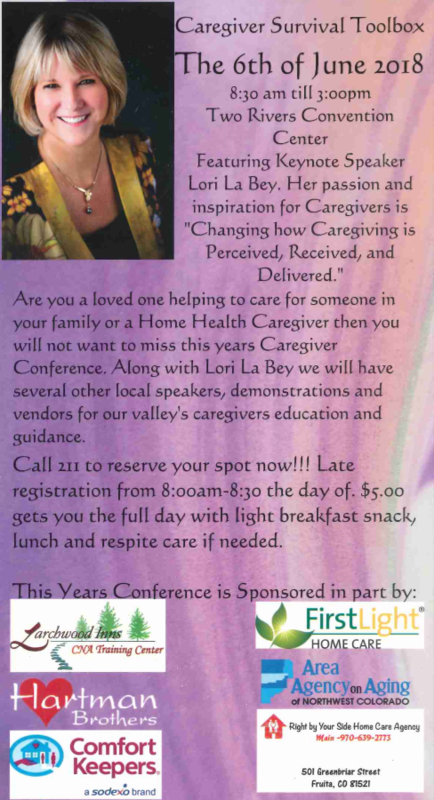 If you think you should be a guest contact Lori La Bey.